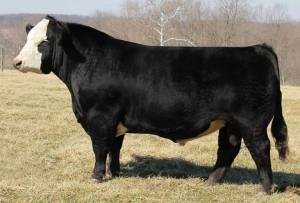 Power Load is an eye appealing Lock N Load son who was the 2015 Ohio State Fair Reserve Champion Bull. He's athletic on the move and full of muscle. He'll make you some great baldies!